The GYLON® Style 3545 is a highly compressible microcellular PTFE with a rigid PTFE core for improved handlability. 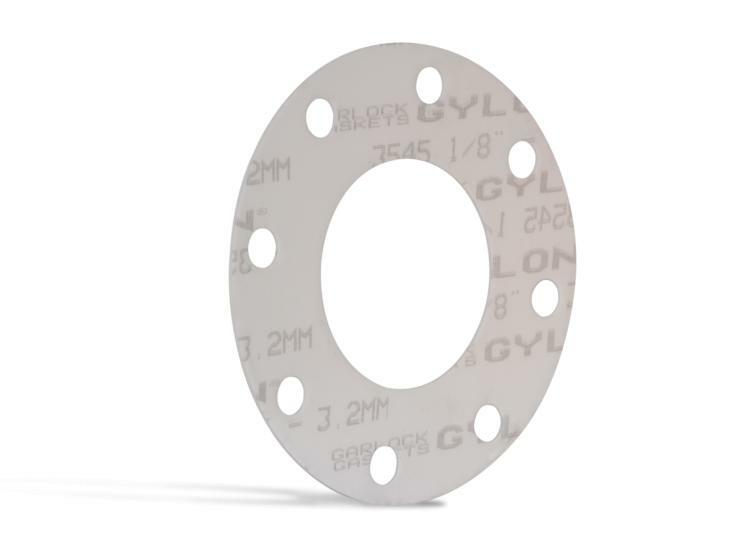 The GYLON® 3545 designed to compress and conform to irregular or damaged surfaces, making it suitable for flanges that generate lower compressive stresses, such and glass-lined flanges and equipment. *For flat face flanges, a minimum compressive stress of 1,500 psi is recommended on the contacted gasket area for 150 psig liquid service. Consult with the flange manufacturer to confirm that adequate compressive stress is available. † When sealing uneven flanges, gasket must be four times thicker than maximum gap between flanges.